Many of you will be heading to theaters this weekend to see the new Disney movie, Maleficent. Make the experience even more special by hosting a pre (or post) movie viewing party. We’ve complied a list of some wickedly good food and treats that will help you kick of your big movie weekend. Set up a Nacho bar. I love this one from The Magical Slow Cooker. But instead of regular corn chips I would swap those out for blue corn ones to resemble ‘Dragon Wings’. 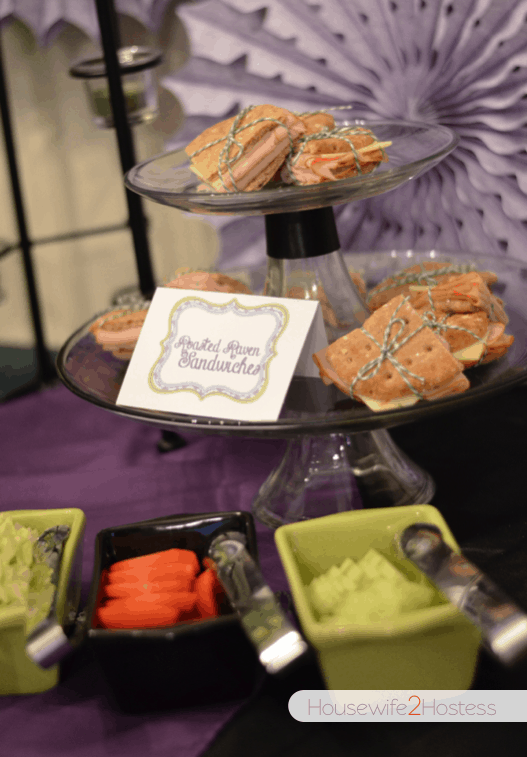 You could also make some ‘Roasted Raven Sandwiches’ using this great idea from Housewife 2 Hostess. No movie would be complete without popcorn. 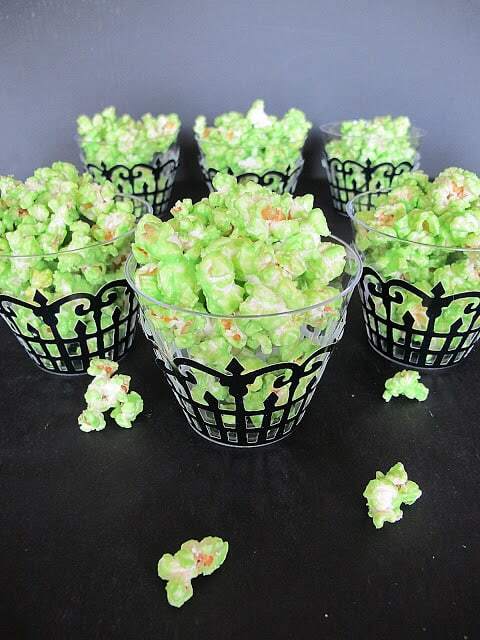 Green Slimed Popcorn from Purple Chocolat Home would be perfect. You could also use the same method to make your popcorn a purple color too. And now for some dessert. My friend Mouse Ears Mom made these amazing “Mistress of All Evil” cupcakes. She also includes an easy step by step tutorial for recreating these at home. Maleficent’s horns inspired me to choose these cookies for the party. These Chocolate Dipped Almond Horns from Big Girls Small Kitchen look fantastic. All we need now is a fun and festive Mocktail. 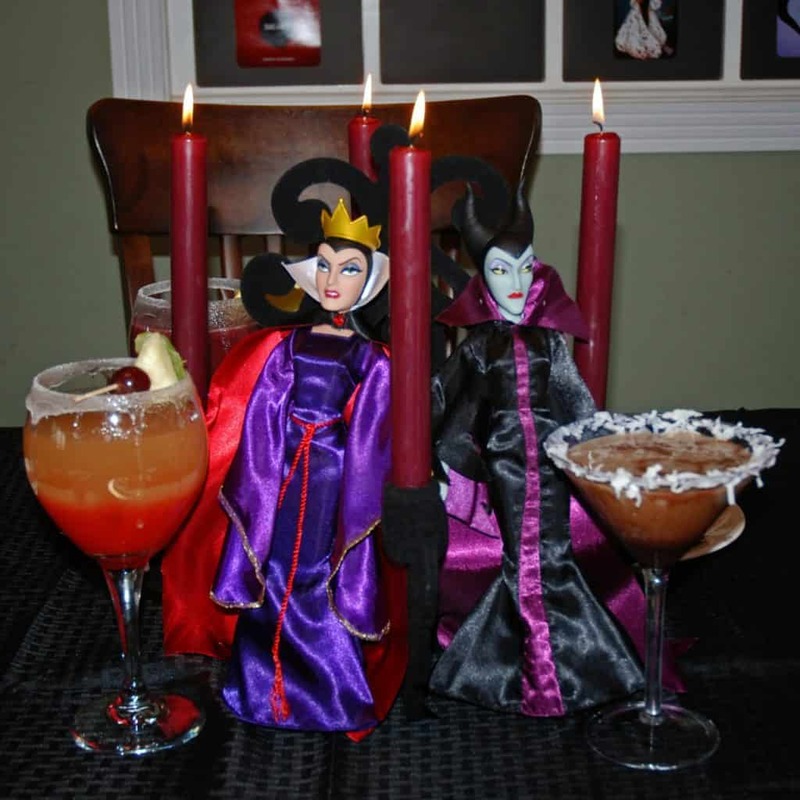 My friend Disney Donna Kay made these Maleficent’s Dark Mocha Chillers for her #DisneySide @ Home Celebration. I love how she dressed up the glasses. They are perfect for a party of mixed company. 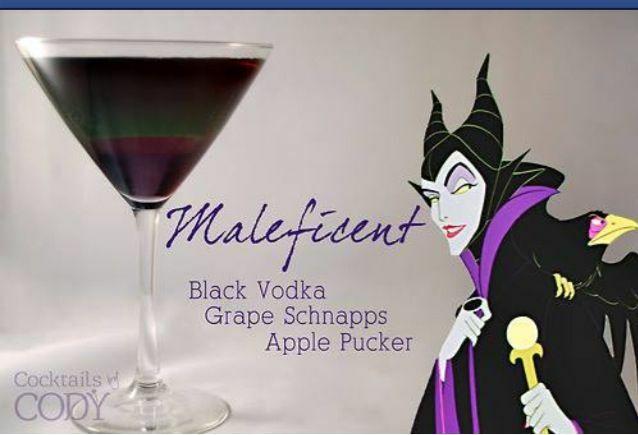 If you plan to host your party after the movie, you can always give your party more of an adult spin with these Maleficent cocktails from Cocktails by Cody. Instructions can be found on his Facebook page. Presentation is everything! 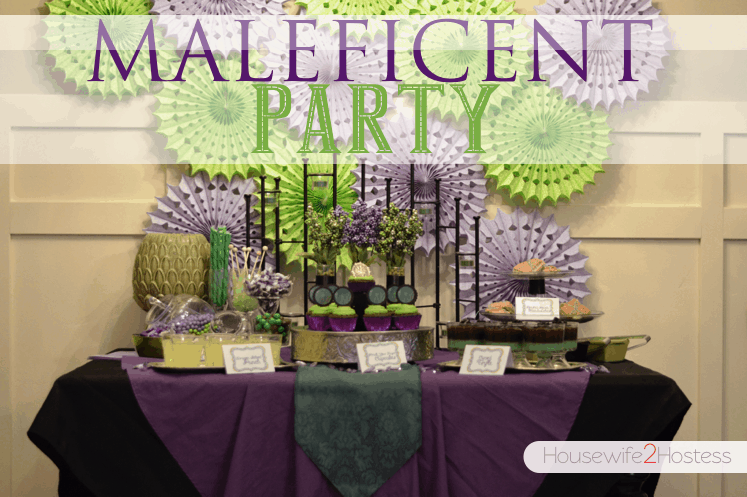 You can use this Maleficent Party also by Housewife 2 Hostess as inspiration. 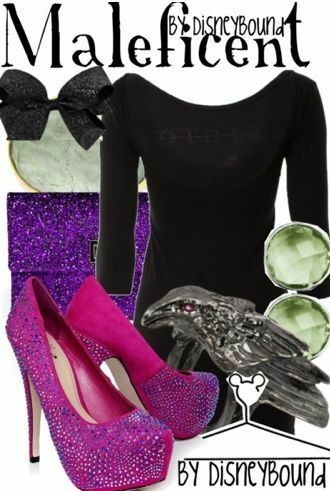 Finally, if you feel like dressing up for the occasion, you can always Disney Bound as Maleficent to the theaters. Here is a fabulous sample outfit. So whether you pre-party, post-party or just party at the movie, we hope you will head out to see “Maleficent” this weekend! Awe!! 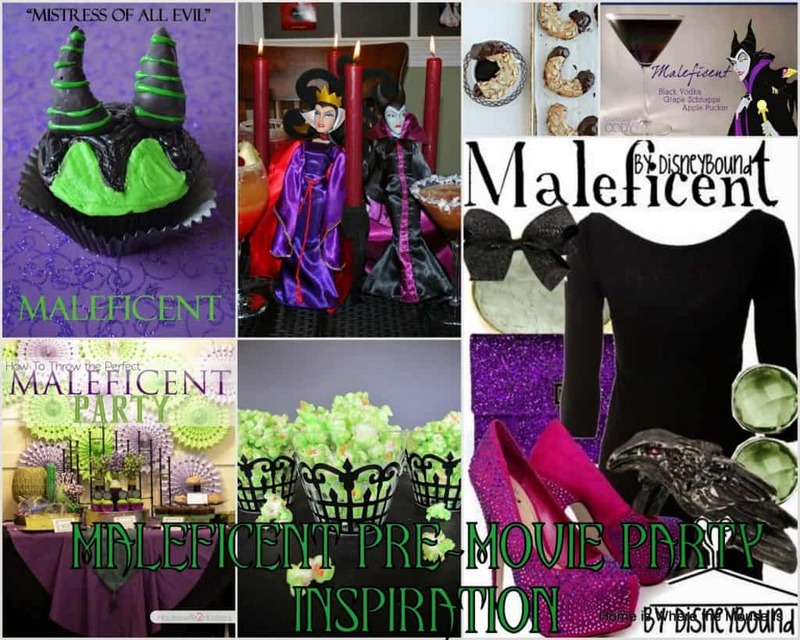 So honored to be part of your Maleficent party!! 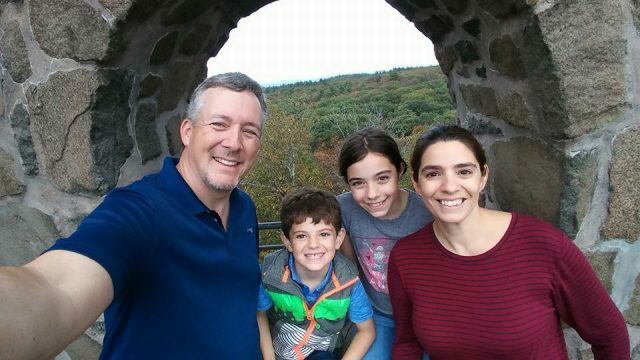 Looks like lots of fun!! I want to come to a party at your house sometime! What attention to detail! I love the names for each of your snacks- the schoolteacher in you at its best!!! Thank you for including my cupcakes at your party! I want to try those mock tails! !